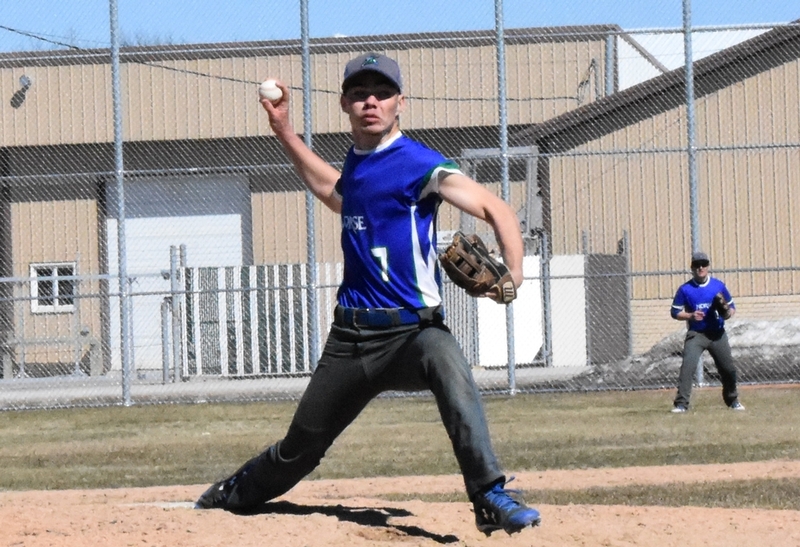 The Bay College Norse baseball team scored eleven runs in the first inning and rolled to a 28-3 win over the Northern Michigan University Wildcats club team Saturday afternoon in Wells Township. It was the first-ever home game in program history after playing the first 24 games on the road. Click the above headline for details, photos, videos. 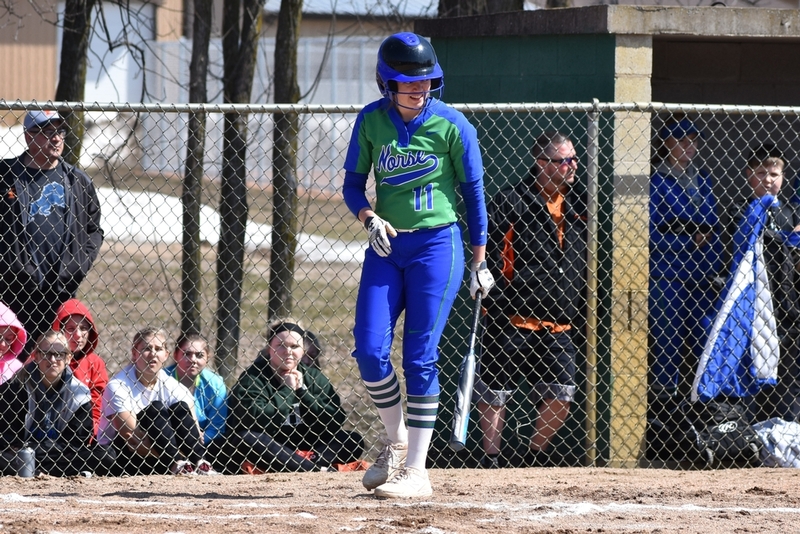 The Bay College Norse softball team completed a four-game sweep over Gogebic Community College with two more wins on Saturday. Click the above headline for details. 4:00 PM - High School Baseball. North Central Jets vs Gladstone Braves. From Don Olsen Field in Gladstone. BRAVES HOME OPENER. On WCHT-AM (NewsTalk 600) and on-line at www.rrnsports.com. 6:15 PM - High School Baseball. North Central Jets vs Gladstone Braves. Game Two of Doubleheader. From Don Olsen Field in Gladstone. On WUPF-FM (Eagle 107.3) and on-line at www.radioresultsnetwork.com. 7:35 PM - NBA Basketball. Eastern Conference Quarterfinal Game #4. Detroit Pistons vs Milwaukee Bucks. From Little Caesars Arena in Detroit. On WCHT-AM (NewsTalk 600). 3:45 PM - High School Softball. Bark River-Harris Broncos vs Stephenson Eagles. From the Bark River Township Fields. On WUPF-FM (Eagle 107.3) and on-line at www.radioresultsnetwork.com. 4:45 PM - High School Baseball. Escanaba Eskymos vs Kingsford Flivvers. From Al Ness Field in Escanaba. ESKYMO HOME OPENER. On WCHT-AM (NewsTalk 600) and on-line at www.rrnsports.com. 7:00 PM - NASCAR Racing. "NASCAR Live". From the Motor Racing Network. On WCMM-FM (102.5 The Moose). 4:00 PM - High School Baseball. Escanaba Eskymos vs Negaunee Miners. From Al Ness Field in Escanaba. Game One of Doubleheader. On WCHT-AM (NewsTalk 600) and on-line at www.rrnsports.com. 6:30 PM - High School Baseball. Escanaba Eskymos vs Negaunee Miners. Game Two of Doubleheader. From Al Ness Field in Escanaba. On WCHT-AM (NewsTalk 600), and on-line at www.rrnsports.com. 12:30 PM - NASCAR Racing. XFinity Series 300-lap race. From the Talladega Super Speedway in Alabama. On WCMM-FM (102.5 The Moose) and WUPG-FM (Maverick 96.7). 1:00 PM - NASCAR Racing. Monster Energy NASCAR Series 500-lap race. From the Talladega Super Speedway in Alabama. On WCMM-FM (102.5 The Moose) and WUPG-FM (Maverick 96.7). 7:00 PM - NASCAR Racing. "Fast Talk" from the Performance Racing Network. On WCHT-AM (NewsTalk 600). 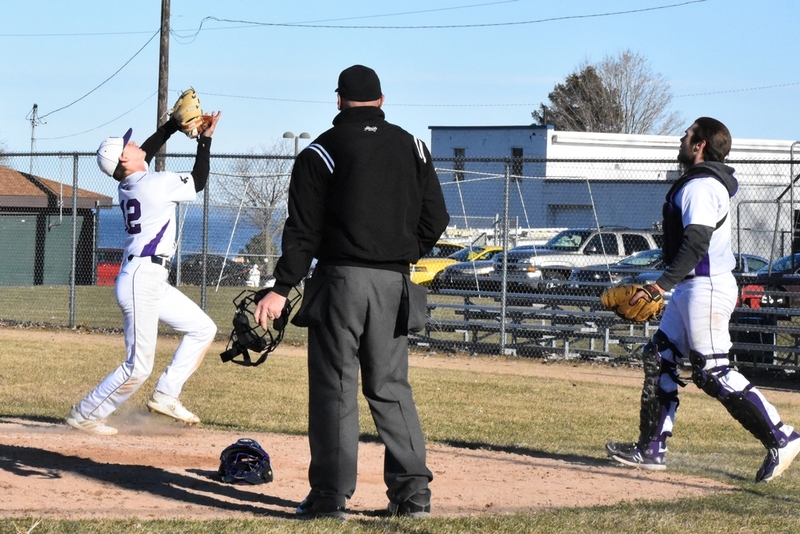 The Gladstone Braves topped the Menominee Maroons in both ends of a doubleheader on Friday, 12-0 and 11-1, as the teams met for the first time in the new Great Northern Conference. Click the above headline for details, see photos and listen to interviews. 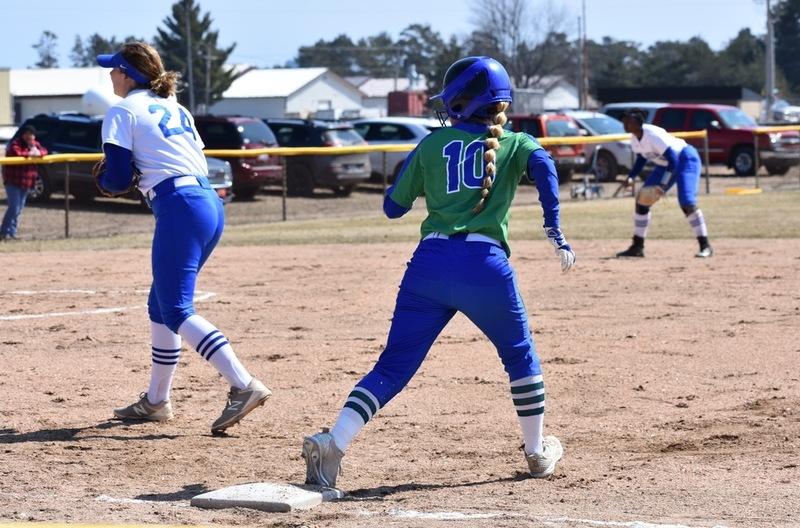 The Rapid River High School softball team overwhelmed the Munising Mustangs in a doubleheader sweep on Thursday, winning both games by 15-0 scores. The first game went four innings, the nightcap went three innings. Natalie Belanger pitched two perfect games, not allowing a baserunner all afternoon. She had 19 strikeouts altogether. Kirsten Goodacre was 6-for-6 at the plate with four runs batted in, including a three-run homer. Cecilia Pilon had four hits in the doubleheader while Jaden Schwartz had a triple and three RBI in the nightcap. The Rockets host Negaunee on Monday. 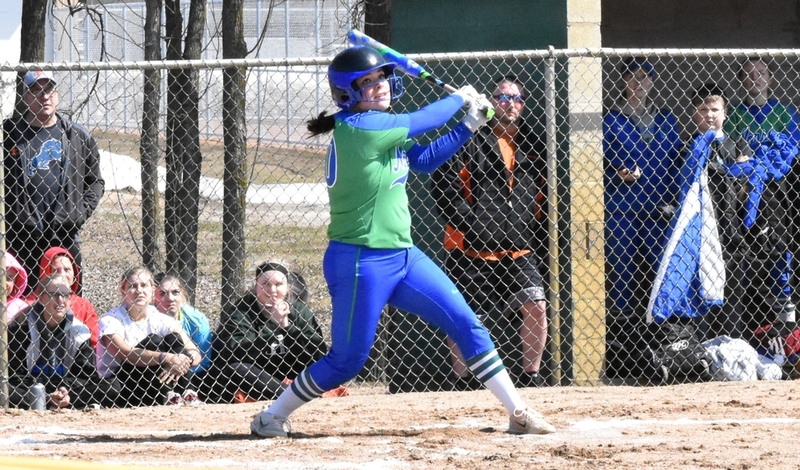 The Bay College Norse softball team finally played at home on Tuesday, and swept a doubleheader from Finlandia University, 9-1 and 2-0, in Wells Township. Click the above headline to read details, see photos taken by Jeff Wright, and hear post-game interviews. The National Hockey League announced Tuesday that the Detroit Red Wings will take on the St. Louis Blues in the Hockeyville USA exhibition game on Thursday, September 26, at the Calumet Colosseum. Click the above headline to read details. Former Menominee High School student-athletes have established the “Ken Hofer Maroon Student-Athlete Scholarship Fund” in honor of long-time Menominee football coach and mentor, Ken Hofer. Click the above headline to read details. 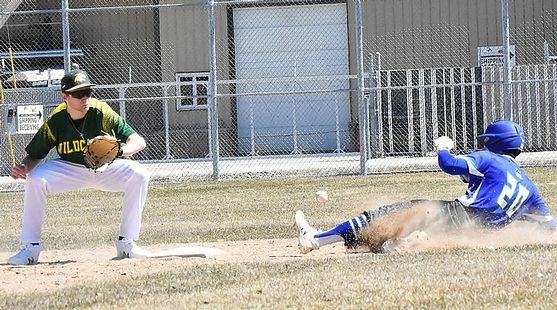 The Escanaba High School baseball team lost twice on Saturday to the Appleton North Lightning, 24-0 and 10-1. 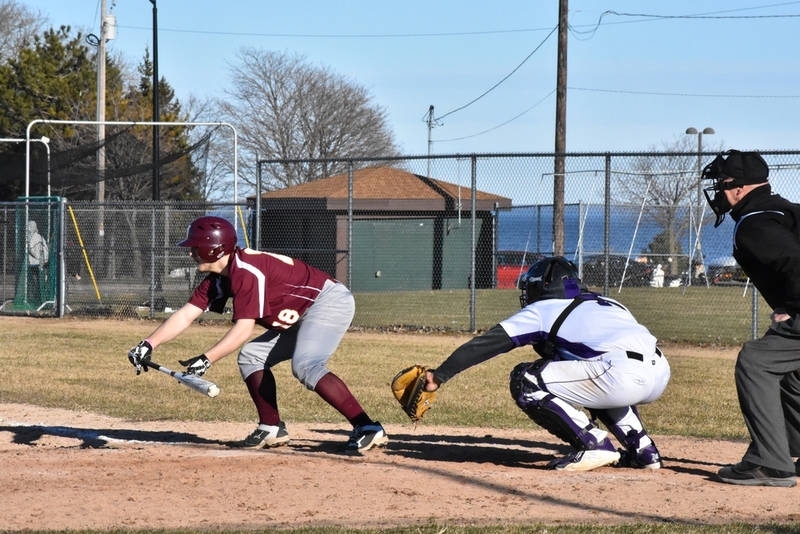 Grant LaMarche had Escanaba's only hit in the opener. 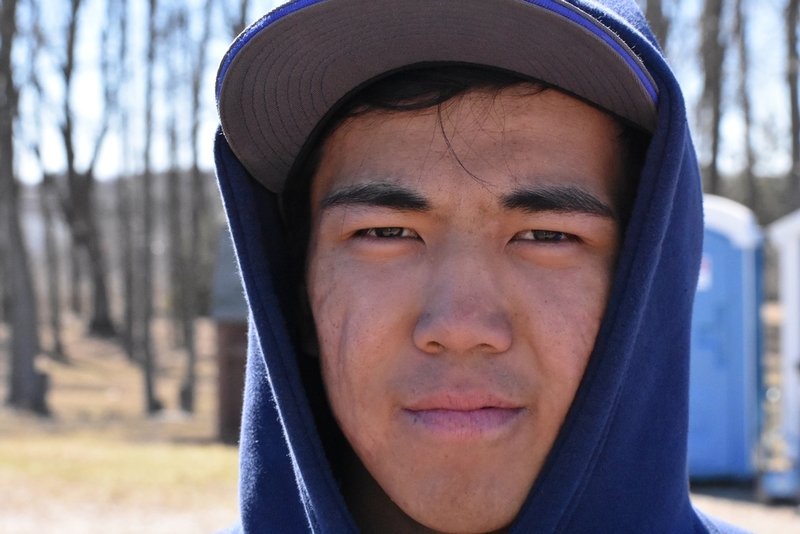 In the second game, Austin Willette and Bryant Maki had the Eskymo hits. Escanaba's home opener is set for Tuesday at 5:00 against Kingsford. The game will be broadcast on NewsTalk 600 and www.rrnsports.com. 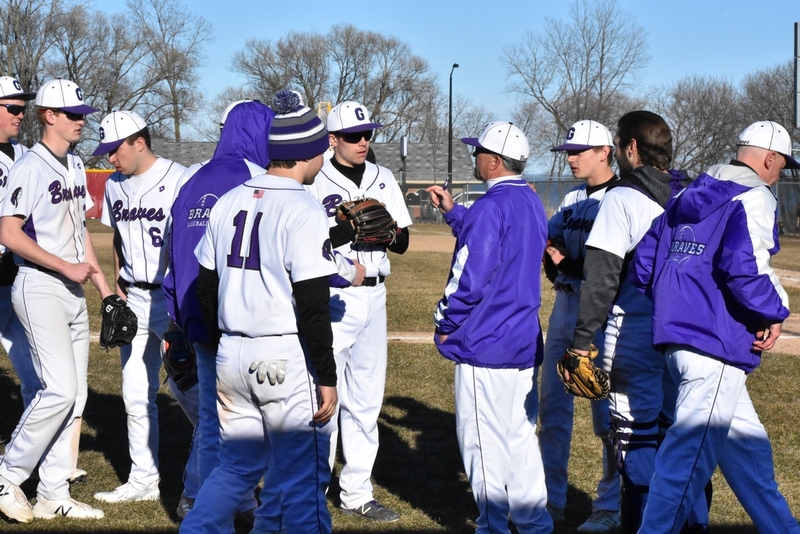 Superior Central pitcher Clayton Smith threw a five-inning no hitter against North Central Friday with 11 strikeouts. But that wasn't all. At the plate, Smith hit for the cycle: a single, double, triple and home run. 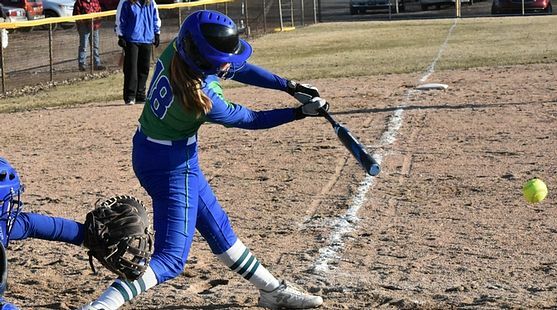 The Cougars won over the Jets, 11-0, in a game called after five innings by the mercy rule. 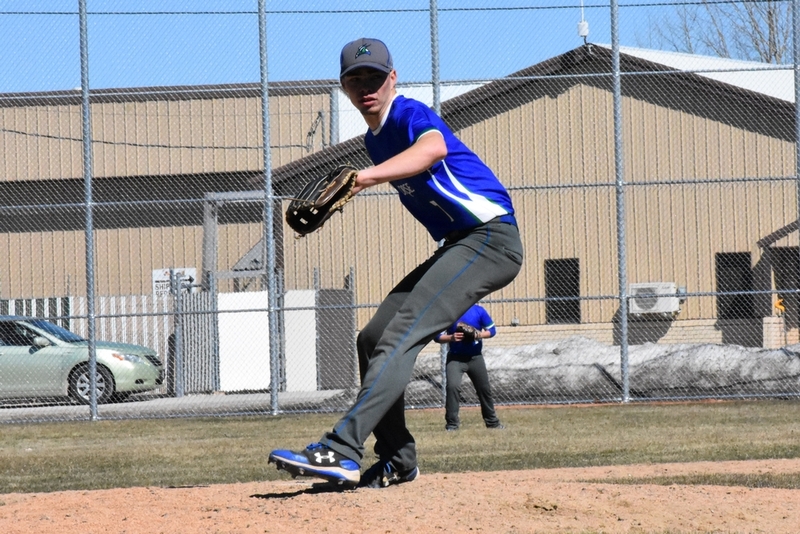 Earlier in the day, Smith, a Munising High School senior playing on the SC co-op team, signed a National Letter of Intent to play baseball at Mott Community College in Flint.